Last week we got an amazing surprise when a thoughtful and well-written article on modern yoyoing showed up in the mainstream media. Vice Sports sent someone out to the 2015 US National YoYo Contest to talk about the struggle for modern yoyo contests to turn from amateur events into something more polished and professional. 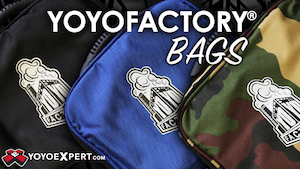 The modern yoyo industry is still very young, very amateurish, and very resistant to change and progress. Against a backdrop of contest organizers who change rules in the middle of events, small companies struggling to become self-sustaining, and players with such low expectations that they will accept literally anything and praise it as being the “best ever”, a new generation of contest organizers struggle to raise the bar and create events that will not only serve the needs of the die-hard players that contests have always catered to, but will also provide a smoother and more accessible point of entry for new players to join. This article is one of the best outside views of modern yoyoing I’ve ever read. 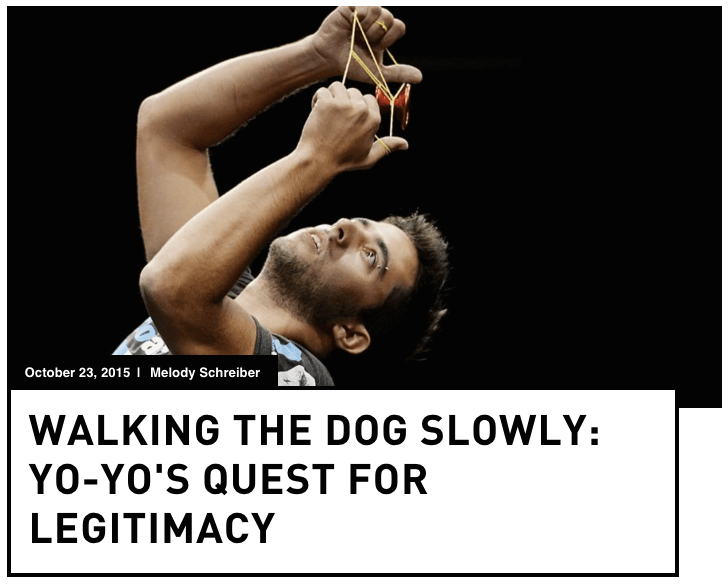 Huge thanks to Tyler Severance and Patrick Borgerding not just for their work in helping organize the 2015 US National YoYo Contest, but also for working with Vice Sports to give the outside word an honest view of our strange, tiny little industry. Head over to Sports.Vice.com to read the full article.